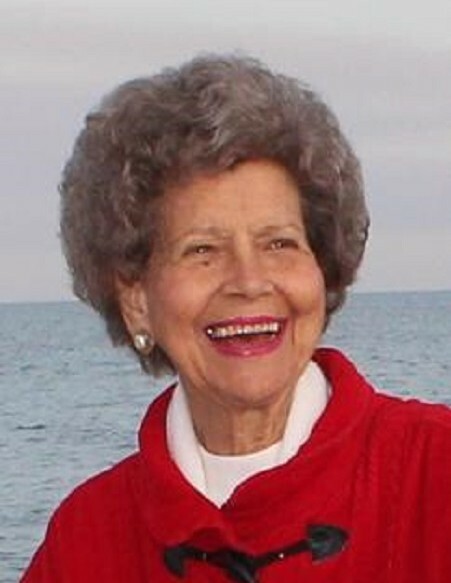 Mary Jane Vaigneur Daley, 85, widow of Hugh M. Daley, of Ridgeland, SC passed away Monday, November 12, 2018 surrounded by her family. She was born on June 20, 1933 in Ridgeland, SC to the late Hugh Lee and Sarah Malphrus Vaigneur. Mary was a former Miss Jasper County, a graduate of Ridgeland High School, attended Winthrop University and taught school after college. She was a lady with very firm convictions and had unfailing faith in her Lord and Savior Jesus Christ. One of her many passions was seeing others come to know Christ, and she shared the salvation plan any time she could. Her love for others was evident through her sacrificial giving to help them with their needs. “Prayer Warrior”, “Golden Needle”, “A True Lady”, “A Class Act”, are just a few of the titles she was given over the years by people she touched through her kindness. During her life she wore many “hats”; she was an accomplished seamstress, directed many weddings, taught Sunday school, was a youth leader, and had an enthusiasm for music and an angelic voice that was enjoyed by many. Many children in the community called her house, “home”, during the day, where she cared for them as her own. Left to cherish her memories are, one son, Dean Daley (Cookie); two daughters, Debra Daley (Wilbur), Diane Thames (Gentry); seven grandchildren, Meredith Pankuch (Brad), Morgan Ruscetta (Daniel), Michael Daley (Taylor), Courtney Humbert (Micheal), Cathryn Daley (Drew, fiancé), Chandler Thames, Chesney Thames; three great grandchildren, Henley Jane Pankuch, Cohen Pankuch, Griffin Ruscetta; three brothers, Byron Vaigneur (Margaret), Truett Vaigneur, Jerry Vaigneur (Melinda); four sisters, Sarah Sanders, Patricia Malphrus (Rodney), Katherine Keiffer, Alice Way (Gary); one sister in law, Martha Vaigneur, and a host of nieces and nephews. She was predeceased by one daughter, Donna Jane Daley, one brother, Oswell Vaigneur, and one sister, Ada McDowell. A funeral service will be held at 11:00 am, Saturday, November 17, 2018 at Great Swamp Baptist Church, 9009 Tarboro Road, Ridgeland, SC. The family will receive friends one hour prior to the service at the church. Interment will follow the service in Floyd Cemetery, Tillman, SC. Memorial donations may be made to Step of Faith Christian Academy Gymnasium Landscaping Fund, P.O. Box 1449, Ridgeland, SC 29936.